There are so many ways that companies can market themselves to potential customers these days. 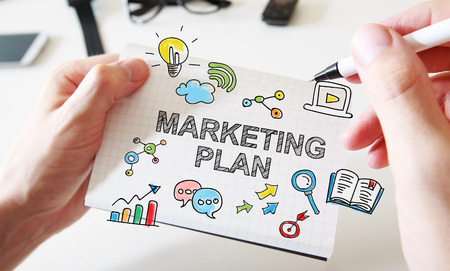 From coming up with clever social media campaigns to paying for sponsored ads to buying radio and television spots, there is certainly no shortage of marketing ideas. But one of the most effective ways to market a business is to create promotional products and hand them out. Here are a few reasons why promo products are still an important part of any marketing strategy. They allow companies to form real connections with customers. There’s nothing people love more than getting free stuff. Therefore, when you hand out free promo products to people, they will definitely remember your company. They’ll also feel a stronger connection to you and be more inclined to patronize your business in the future. It’s a small investment to make for the loyalty that you’ll usually receive in return. Studies have shown that about 80 percent of consumers own somewhere between one and ten promo products. They’ve also shown that more than 50 percent of people use at least one promo product every week. That means that there’s a decent chance people will both keep and use your company’s promo products if you invest in the right ones. This could expose them to your brand for years to come. They give businesses a chance to brand themselves. Promo products will offer your business the opportunity to brand yourself better. For example, if you’re a gym trying to reel in new customers, promo T-shirts, hats, and bags will build your brand up. Or if you’re an accountant, promo pens, pencils, and notepads will keep your name on the tip of your customers’ tongues. You can establish your brand more effectively with promo products than you can with other marketing efforts. Art Related Technologies specializes in creating a wide range of promotional products for those in almost any industry. Call us at 410-676-7600 today to see which promo products might be right for your company.